The Krewe of Orion Proudly Presents – 2019 Masquerade! 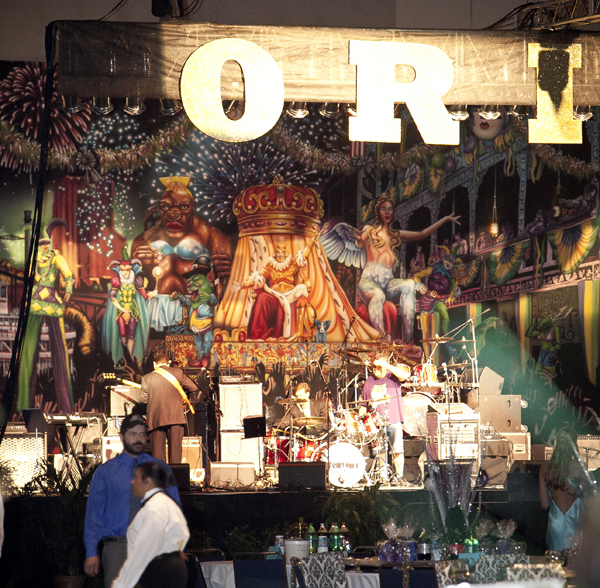 Each year, the Krewe of Orion throws the best, fun-filled, action packed Mardi Gras party in Baton Rouge – Masquerade! This spectacular event combines all the excitement of a Mardi Gras ball, live musical entertainment this year featuring Groovy7 and dancing, and a Mardi Gras parade all wrapped up in one dazzling package. Join your friends and other revelers for Masquerade at Baton Rouge’s own Raising Cane’s River Center Exhibition Hall. To start the evening, sit back and enjoy the music, visit with your friends, and maybe do a little dancing. Then get ready as the Krewe of Orion’s nighttime parade comes to you. The magical sights and sounds of our parade come to Masquerade and roll indoors through the great door and down the center of the Exhibition Hall. Enjoy marching bands, dance units, and, of course, our lighted and decorated floats. Wave to our masked and costumed riders as they throw plenty of those great Krewe of Orion throws just for you. How much can you catch? But wait, there’s more! The evening continues to the wee hours as Masquerade presents high-energy live musical entertainment, offering selections for all ages. What a way to cap off the evening! Make plans to celebrate the carnival season with the Krewe of Orion at Masquerade! Tickets for the 2019 Masquerade are now SOLD OUT. The Krewe of Orion’s Masquerade is open to the public through advanced ticket sales. All table seating is reserved. Attendees must be at least 21 years of age. Dress is formal (floor length gowns for ladies and tuxes for men).